We were four boys. We were happy, well adjusted (this, perhaps, is somewhat debatable) and liked it where we were. We were comfortable. And then we found out that our parents were trying to adopt one of our cousins, a girl. A little girl. Lynn. Mom’s family was something of an embarrassment. She didn’t like talking about it and we didn’t like hearing about it. Her dad was an alcoholic, problems problems. Her brother, Sonny, joined the Marines in WWII and was in the battle of Guadalcanal in the South Pacific. He came home shell-shocked and spent the rest of his life in an institution in Pueblo, Colorado. We have no idea how many times Lois, her younger sister, was married. We really don’t know just how many kids she had in all. She was too good looking for her own good and had no discernment whatsoever to counterbalance her attractiveness. Lynn, the one we were trying to adopt, was her last. The state got wise and decided to tie her tubes. From the time she was born in 1965 my folks wanted to adopt her. They entered into a prolonged long distance dialogue by letter with the state of Colorado. But it just was not going to happen. They had rules–lots of them. Relatives could not adopt, and that was at the top of the list. The main reason was that they did not want to create conflict in a family later, certainly understandable. Dad wrote and said we were living in India and it was a long, long ways away from Lois, removing the possibility of problems of proximity. The short of it was that after three years of lobbying they agreed. Kind of. There was just one small detail. They wanted a full fledged study done of our family before and after the adoption by a certified social welfare worker registered in the state of Colorado. This small little detail was ludicrous. The possibility of paying for the airfare for such a person for the study was simply out of the question. And so the matter rested. Seasons come and go. Winter throughout North India can be downright cold at times, but is generally pleasant (and clearly the best time to visit if you are thinking of a trip). Come March it starts heating up on the plains. And by May it is beastly hot. And by May the annual pilgrimage to Mussoorie by parents and other missionaries is in full spate to avoid the heat on the plains and enjoy the cool air of the mountains. The Community Center was a building that was a bit of a mystery. None of us knew who owned it, but apparently it was held in common by a number of mission organizations. It had a tennis court notched into the hillside (barely enough room, seldom in decent repair). But it was also the site of the only other library on the hillside other than the one at school. And the school library did not have a full set of the Hardy Boys. The process to borrow a book was simple. If the door was locked you walked around the back and hollered at the chowkidar to open it. If it was open you walked in. You took a book, checked it out yourself and left. Simple. There was also the annual Barter Sale, usually held in late May when there was the maximum number of parents on the hillside. This was like a giant garage sale, but it was mostly clothes. Kids grow out of their clothes at some point and what to do? Save them for the Barter Sale of course. This accomplished two things. You could sell the clothing you no longer needed and you could buy clothing you did. And it was a big event and it was held annually in the large meeting room upstairs at the Community Center. Great for the parents but hell on the kids. “Hey, nice shirt there chut (our term for anyone younger). I think that used to be mine. Well lookie here, my name tag is still in it.” It beat going naked, but only just barely. The other event each spring was a luncheon for all the missionaries on the hillside, new and old, all stripes, everyone. The purpose was to get to know each other and enjoy fellowship over lunch. These were people that were spread out all over the plains of North India separated from family and culture, working in difficult, often isolated outposts. They craved fellowship. It was like an annual meeting of the Fraternal Order of the High Calling of God. Lunch was served–Tibetan food that year. For some reason dad could not come and Mom ended up sitting directly across the table from some new missionaries she had never met. Worked down south towards Bombay or somewhere. These folks did not have kids at Woodstock, but were up for a break and cool fresh air. They chatted. 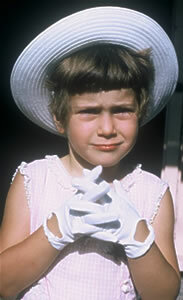 Somehow, somehow, the subject of Lynn and the doomed adoption and their disappointment came up. These people were natural therapists. They asked questions. Listened carefully, attentively. They heard the whole sad story, beginning to end. They looked at each other and then turned to mom. Mom flew to the states to get Lynn and everything went smoothly. The only hitch came when she took a taxi from O’Hare in Chicago to the mission headquarters in Wheaton and was let off at 3AM in front of the mission apartments. She pounded on doors. She pounded on windows. She pressed doorbells. Nada. She finally made her way to the dumpster, found some old newspapers and proceeded to go into the entry area of the apartment and wrapped herself in those newspapers and went to sleep. She was found there the next morning, my mom the bag lady. 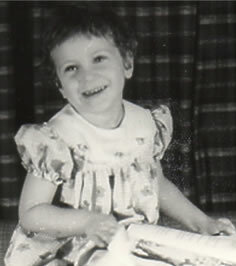 When we got Lynn she was three years old and had been through 12 foster homes and had rickets. We boys had a front row seat on the work of missions in India. We were there when missionaries told tales of demonic activity that would give Stephen King the willies. We had Azad, a Sikh convert, live with us for a couple of weeks before dad sent him to a distant place in South India because Azad claimed his father’s henchmen were trying to kill him. They actually did eventually catch up to him. His dead, tortured body was found on the streets of Bombay. We heard great preaching. We noticed that most major hospitals, many universities and lots of schools were started by missionaries. We had a front row seat.